Mt. Lebanon won the Best Team award at Ohio State for the second consecutive year. 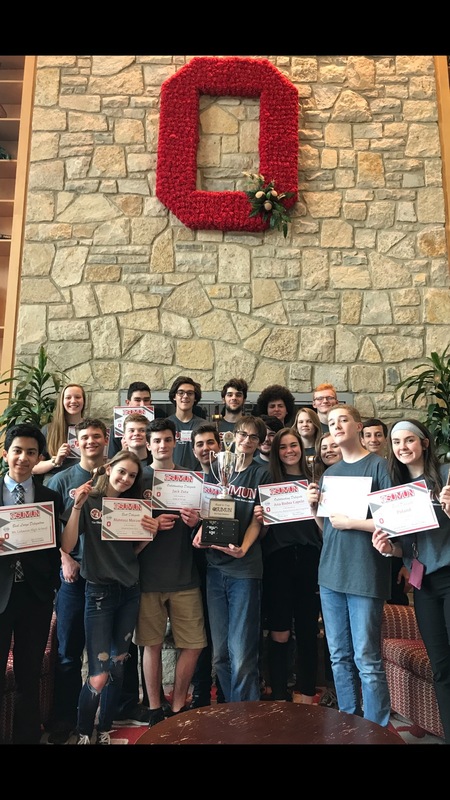 In addition, fourteen of our twenty students won individual awards in their committee, competing against schools from Ohio, Pennsylvania, Tennessee and Illinois. It caps off a remarkable year for the Model UN Team, which also won top honors at Penn State, Pitt, CMU and Delaware in addition to Ohio State. The "Best Delegation" awards at CMU, Delaware and Ohio State were all within the past 6 weeks. Sophomores: Ellie Hester, Nora Kulzer, Jack Silverman, Jack Horrigan, Melanie Hendrick, Ethan Glass. Coaches Adam Lumish and George Savarese are fiercely proud of their students' exceptional performance, talent and work ethic. Thirteen students from Mt. 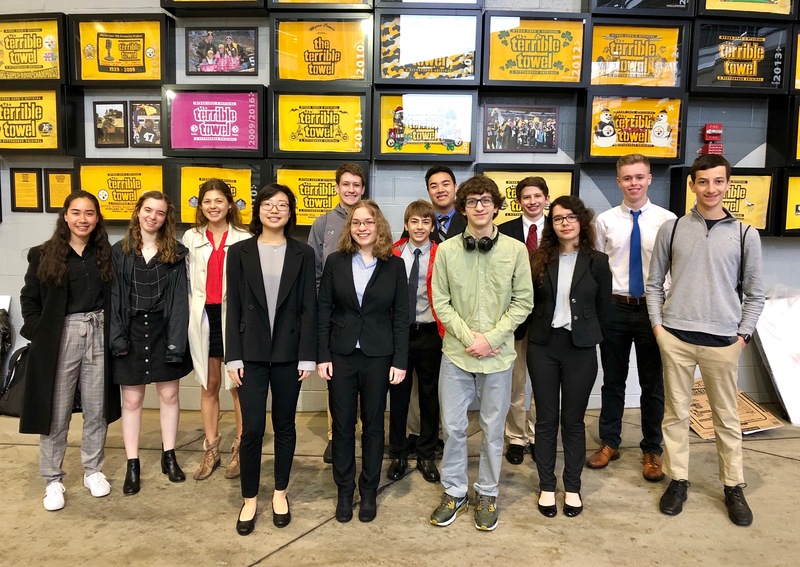 Lebanon High School participated in the 80th annual Pittsburgh Regional Science and Engineering Fair at Heinz Field on March 29. At the events, students presented their research projects to judges from colleges, universities, industry, and professional societies. Approximately 1000 students from over 100 schools competed for roughly $1 million dollars in cash prizes, scholarships, and trips. Max Guthrie won the only first place category award for physics valued at $300 for his project titled Optimal Wind Turbine Blades. Jacob Terkel earned the second place award for computer science valued at $150 for his project The Universal Divisibility Rule. Max Guthrie also received an award from Siemens Engineering valued at $50, an award from the United States Air Force for an Outstanding Science/Engineering Fair Project, and the Mu Alpha Theta Award for the most challenging, original, thorough, and creative investigation of a problem involving mathematics. The thirteen participants from the high school were (pictured from left to right) Caroline Brustoloni, Samara Steinfeld, Ava Duchin, Sein Lee, Christian Polk, Rebecca Schwartz, Kaloyan Stefanov, Justin Chin, Jacob Terkel, Carter Hall, Maya Legersky, Max Guthrie, and Benjamin Ash. In addition multiple students have won scholarships at the Pittsburgh Regional Science and Engineering Fair. As part of ReMake Learning Days, the Mt. 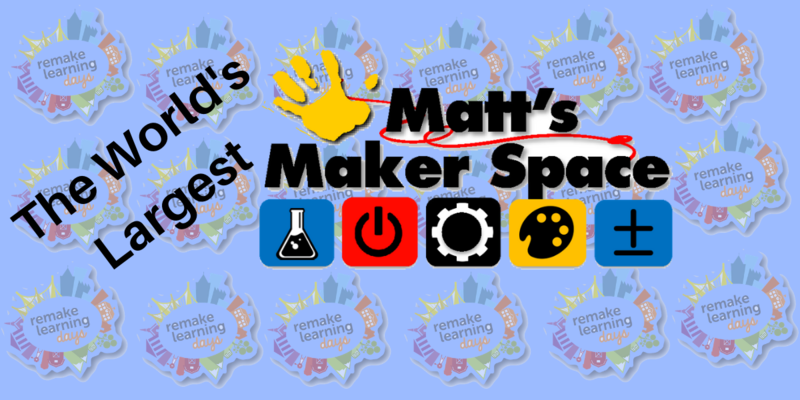 Lebanon School District will host "The World's Largest Matt's Maker Space" on Saturday, May 11 between 10 AM -1 PM in Center Court of the Mt. Lebanon High School. Imagine one of our school's Matt's Maker Space the size of Center Court! This will be fun on a HUGE scale and you'll be part of history by making this the Largest Matt's Maker Space ever! If you like to build, code, or just make, this is the maker space for you. It's an open house so drop in when you can. So bring the kids, your neighbors, grandma and grandpa and have fun. The event is free and open to the public.So that we can be prepared, please use the link to let us know you are coming. While registering is not required, it will help ensure we have enough materials and supplies for everyone. Click here if you plan to attend. At the April 15 School Board meeting the Board unanimously approved the 2019-2020 Proposed Final Budget in the amount of $102,552,712 setting the millage rate at 24.79. This represents a .47 mill increase which translates into $47 a year on a home assessed at $100,000. Of the .47 mills, the amount of the District's charter and cyber charter school obligations accounts for .37 mills or $490,000 this year. The increase in contributions to the state retirement system (PSERS) is also reflected in an increase in the millage rate. Included in this Proposed Final Budget is an increase in the number of counselors in the elementary schools from 3.5 to 5.6 counselors. This will provide each of the seven elementary schools with a dedicated counselor, eliminates the need to share counselors, and increases substantially the student to counselor contact time. The Final Budget will be on the agenda for approval at the May 20 School Board meeting at 7:30 p.m. in the High School room D205. At the April 15 School Board meeting, Dr. Sarah Shaw was appointed by the Board as the new principal of Jefferson Middle School. Dr. Shaw has been the principal of Jefferson Elementary School for the past five years. She will take over the helm from current JMS principal, Ms. Kelly Szesterniak, who will be leaving Mt. Lebanon to return to her hometown in Wisconsin as principal of a middle school there. Dr. Shaw's official start date is July 1, but she will be working on a seamless transition for JMS students and staff over the next few weeks. Dr. Shaw has a bachelor's degree from Penn State University. She earned a master's degree, K-12 principal's certification, and a doctorate from the University of Pittsburgh. "Dr. Shaw has been a valuable member of our leadership team as the principal of Jefferson Elementary School for the past five years. She has the institutional knowledge, skills, and experience to continue the success of Jefferson Middle School," said Dr. Timothy Steinhauer. "I have no doubt that Dr. Shaw will serve the JMS community well and will continue the legacy of excellence in education for which the school is known. Please join me in congratulating Dr. Shaw as the new principal of Jefferson Middle School." Join us for the 5th annual Taste of Lebo: Battle of the Appetizers on April 27 from 2:00-4:30 pm as we celebrate the 20th Anniversary of the Mt. Lebanon Foundation for Education. Several restaurants and the Mt. Lebanon School District Food Service will be offering special appetizers for participants to eat while they stroll up and down Washington Road. 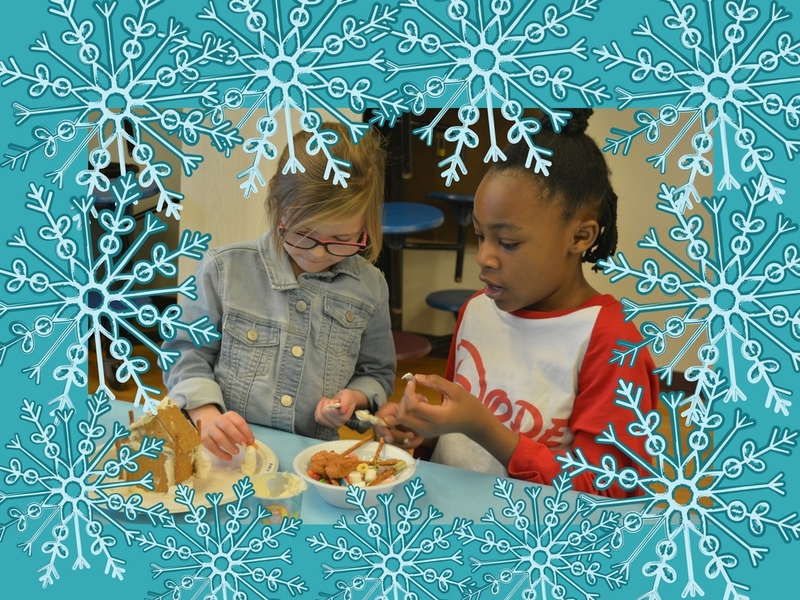 Participating restaurants are Il Pizzaiolo, Bistro 19, Grandpap Joe's, Mineos, Lebo Subs, Aladdin's Eatery, Pizza Badermo, Simone's, Mezza, Saloon, Mt.Lebanon School District Food Service, and Totopo. Tickets are $25 for adults, $10 for children 12 to 17 and free for children 6 and under. Students will perform throughout the afternoon to entertainment our savvy tasters.Proceeds fund the Mt. Lebanon Foundation for Education. MLFE was founded in 1999 to help support innovative instructional projects for teachers and has provided 130 grants to teachers across all 10 schools. Read more about a recent grant award at the high school-Knit the Grand Staircase.